Skill Level 2. Previous experience helpful. These models are available thanks to the generosity of German card model designer Alexander Krop. Note that the barracks and shed models are available in olive or bare metal colours. These models were designed by Alexander Krop. 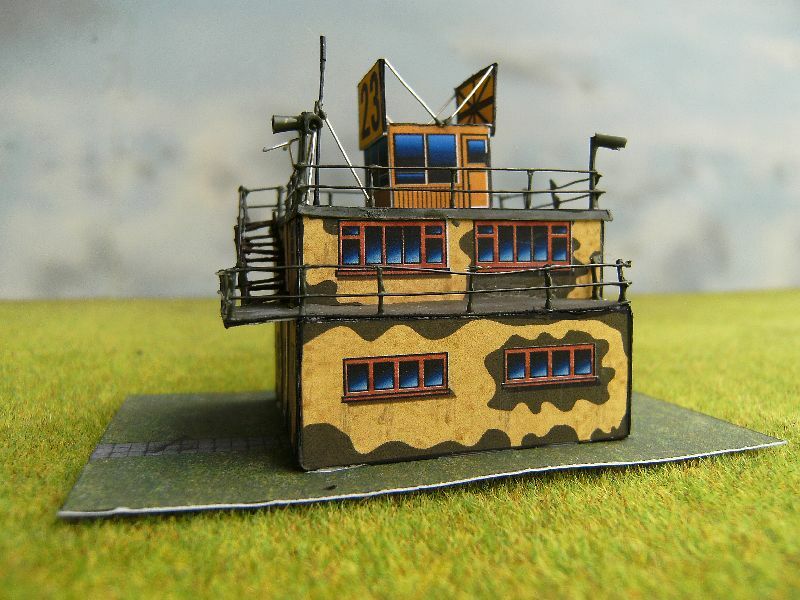 control_tower_wwii.pdf - 384 KiB - The Control Tower model. flak_tower_page1.pdf - 220 KiB - Parts for the Flak Tower (1st page). flak_tower_page2.pdf - 45 KiB - Parts for the Flak Tower (2nd page). flak_tower_page3.pdf - 102 KiB - Parts for the Flak Tower (3rd page). flak_tower_page4.pdf - 522 KiB - Parts for the Flak Tower (4th page). flak_tower_instructions.pdf - 24 KiB - Instructions for the Flak Tower. corrugated_barracks_olive_144.pdf - 781 KiB - The Corrugated Barracks model (olive colour). corrugated_barracks_metal_144.pdf - 514 KiB - The Corrugated Barracks model (metal colour). corrugated_shed_olive_144.pdf - 969 KiB - The Corrugated Shed model (olive colour). corrugated_shed_metal_144.pdf - 874 KiB - The Corrugated Shed model (metal colour).